Thank you for attending the Healthcare Systems Process Improvement Conference 2018! The Society of Health Systems would like to thank all of our attendees, exhibitors and sponsors for another great Healthcare Systems Process Improvement Conference! We hope you enjoyed the conference and are returning to work refreshed and energized with new ideas you can immediately put into practice. We hope to see you again Feb. 20-22, 2019, in San Antonio, Texas! Congratulations to those recognized at the 2018 Awards Luncheon! Awarded to an undergraduate student whose studies focus on healthcare improvement and sponsored by Sponsored by HealthTrust Workforce Solutions. The SHS/HIMSS Excellence in Healthcare Management/Process Improvement Award recognizes one person who has made a significant contribution to the collaboration between the societies and to the healthcare improvement profession. The SHS President’s Service Award recognizes one person who has made a significant contribution to the society during the President’s term. 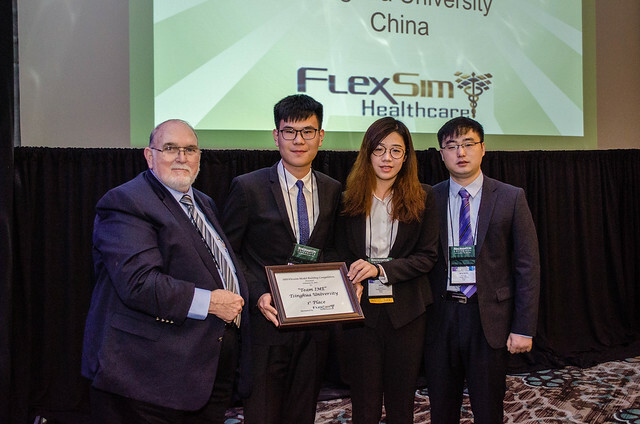 Teams of ISE students solve a "real-world" healthcare situational case study using FlexSim's simulation software. This case study is prepared by FlexSim. 2nd Place: "Team IEPG – UNIFEI"